The future of beauty is here — and you’re invited. Check out the rest of our 2018 Refinery29 Beauty Innovator Awards winners for a full look at the products, brands, and people that are breaking the rules and redefining beauty standards, one lipstick at a time. This story was originally published on April 30, 2018. I've loved magazines since the days when I scrounged up $3.99 worth of allowance money for an issue of YM. I can't remember every prom horror story that I read, or all of the flirting tips that still fail me in my late twenties, but there's one lesson that resonated with me from those preteen reading days: You must mattify your T-zone. Or I need to, rather. Back then, I always wondered why my forehead and the bridge of my nose were so much oilier than the rest of my face. And once my beloved mags taught me about that T-shaped area and how oil glands are a lot more populous there, I began choosing products that would help dull the shine. So whenever I do wear foundation, it's a full-coverage matte or nothing at all. That way, I can control my glow. And I grew to become really particular about my highlight placement, too — no more than three sweeps on my cheekbones, one underneath each brow, and absolutely none on my nose. 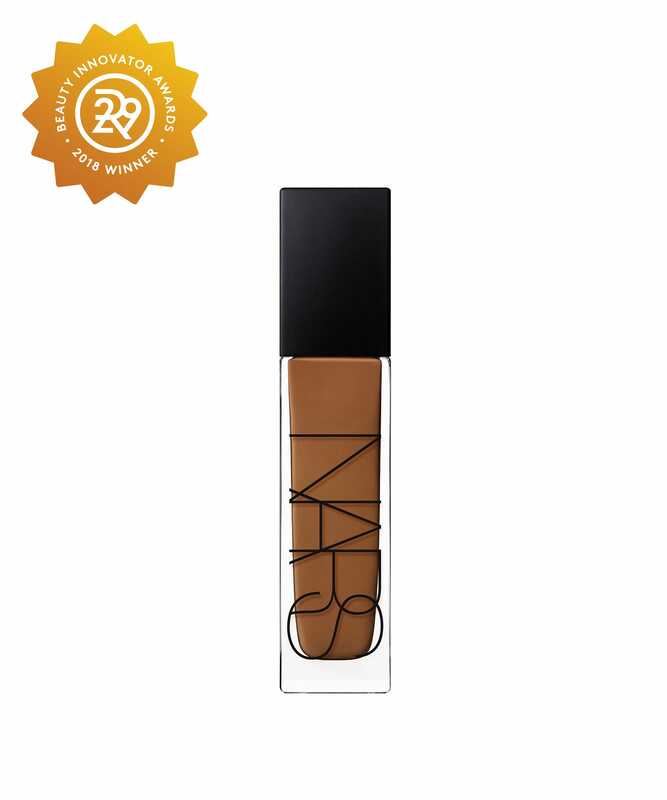 So when a colleague asked me to try NARS' new Radiant Longwear Foundation, I wasn't all that thrilled. Don't get me wrong: I love NARS, and have probably gushed about the brand's Velvet Matte Skin Tint at least a dozen times. But the whole name of the game is to hide my flaws, not highlight them, and I feared a sheer formula would do just that. I should've had more faith, though. Upon first try, the foundation did go on lightly and smoothly — and managed to bring life to my otherwise dull complexion (thanks to an extra glass of wine from the previous night). My dark spots were mostly covered, and instead of having to overcompensate with illuminator, my high points looked dewy and natural. It's all because of the formula's watermelon, raspberry, and apple extracts, which work to smooth your skin and give the light a surface to bounce off of. It's glow without the grease, and it's what I'll be wearing for the foreseeable future. I think my inner 13-year-old would be proud.